As time goes on, more and more road bikes have entered the market that are bringing the cost of starting this sport down considerably. Despite the price of the bikes coming down, the quality and the value of them have gone up! 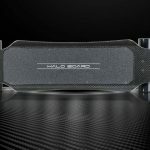 That’s why it is now very possible to get a great quality road bike that, when taken care of, will continue to perform well for years into the future. If you’re look for a road bike that you’ll use for training, serious riding or even to help speed up your commute, $500 is a great starting price point to get a solid ride. As you’ll see in our list, we’ve even managed to find some road bikes for noticeably less than $500 that are still well worth your time and money. So here is our list of the best cheap road bikes for less than $500. 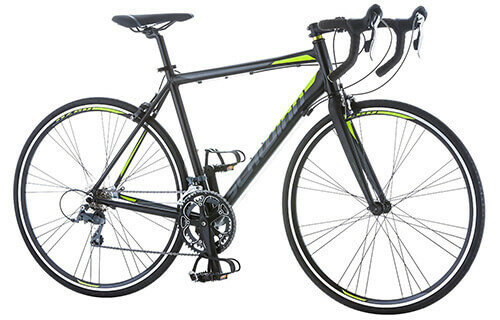 Are Entry Level Road Bikes Worth It? 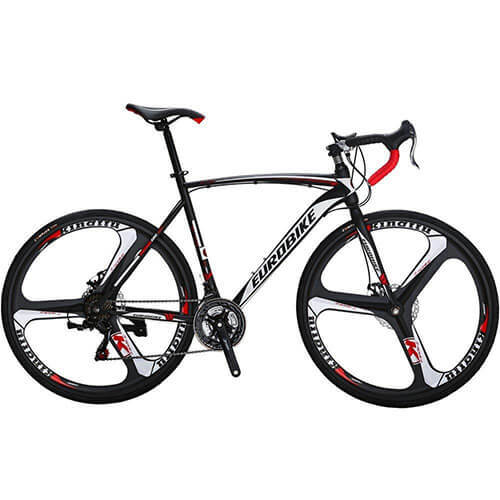 This category is made up of a couple of choices that we could consider the best road bike you can buy right now for less that 500 dollars. The Vilano Shadow 2.0 is a fully aluminum framed road bike for way less than $500. The aluminum frame is a 6061 double butted aero aluminum with an integrated headset. It has a fork made from steel for strength and sturdiness. The brakes are fairly basic, being a dual pivot alloy caliper, nothing compared to some of the disc brake systems that some road bikes have. The brakes and shifter are however controlled in a very nice manner. The shifter is a Shimano A070 STI with 14 speeds. This is an integrated brake lever shifting system that means that shifting and completely controlled braking is right at your fingertips. A very nice addition that we wouldn’t necessarily expect at this price point. Other key features and specs of the Vilano Shadow 2.0 are listed below. This inexpensive entry level road bike will be perfect for commuting, training or for some serious riding. It’s lightweight, comfortable and incredible value for money. We think that if you take good care of the Vilano Shadow 2.0 it’ll last just as long as a bike that costs 2 or even 3 times the amount and for all these reasons we’re awarding it with our best road bike under $500 ranking. Whilst it isn’t quite as fast or efficient as the Vilano, it does have some nice extras that help warrant its place on our list. For example, it has an included and built in kickstand, these are normally extras that you have to add on yourself. Other freebees are the included water bottle holder and pannier bag. It also has a 21 speeds shifter, which is 7 more than the Vilano. This is definitely help with those of you who know you’ll be tackling lots of hills. Overall, the Merax Finiss is a great alternative to the Vilano. If you’re looking for something that is even cheaper just to test the road bike waters, then this is a brilliant option. You will lack some of the quality and the performance of the Vilano but overall, for around 60 – 70 dollars less you really can’t complain. This category is specifically aimed at beginners. 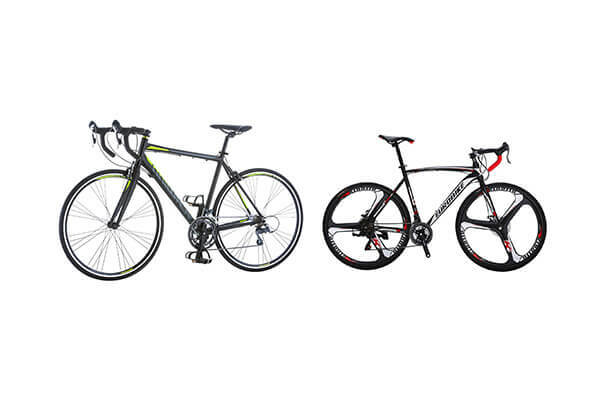 If you’ve never owned or even rode a road bike before then either of the two choices below will be ideal for you. If you’re a beginner and you know you’re wanting a good quality road bike that will perform well and last a while, then the Schwinn Phocus 1600 is the perfect bike for you. It comes it at closer to the top end of our budget of $500 but for this money you get a lot of bike. The frame is a fairly standard aluminum road frame, but the fork is made from carbon fibre, meaning it’s stronger and much lighter than anything we’ve reviewed so far. The entire build of the bike is superb, not just for a cheap road bike, but for any road bike. The wheels are also on the same quality level of the frame, they’re made from a high profile alloy that have been double walled with paired spokes. All of this helps reduce the weight whilst adding strength, exactly what you need in a good beginners road bike. The front wheel also a nice quick release system. It’s perfect if you’re new to road bikes as you won’t be wasting your money on anything super expensive at the start. You obviously need to know that you enjoy the sport and this is the best way for you to find out. 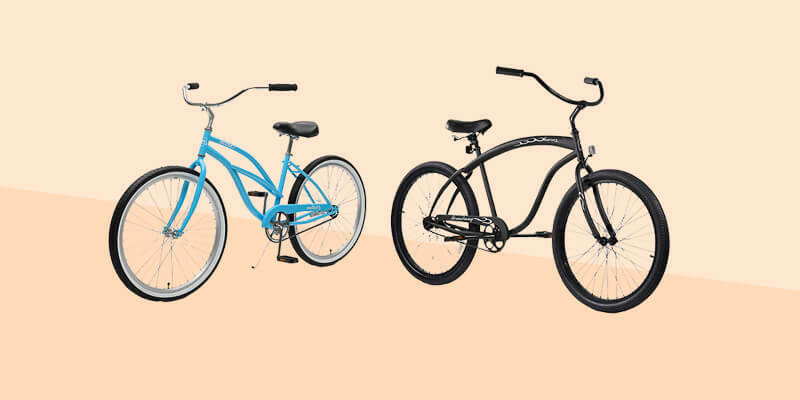 With the Schwinn Phocus you get a lot of the quality of a more expensive bike without emptying your wallet. Just remember that this isn’t one of the best road bikes ever. It’s a bit heavier, a bit slower and you’ll probably have to work a bit harder to keep up the thousand dollar or more models. It also doesn’t have any fancy bells and whistles, but instead keeps things simple. It’s perfect for learning and giving you a taster, but having said that, it’s still good enough for you to be able to keep up with the pack if you put your heart into it. One of the best parts of the Eurobike XC550 is that it’s a budget road bike that looks like a premium road bike. The overall style, from the handlebars, to the seat and especially the wheels make it look like a very expensive bike. However, it can be bought for as little as half of our budget! Overall, the Eurobike is a fantastic entry level road bike for beginners, that looks great, performs relatively well and has a few nice features that you very rarely see on bikes of this price. The only real downside to it is that the performance isn’t quite up there with the other bikes, as it’s a bit heavier and the build quality isn’t quite as good. Despite this, it’s still a great bike and at this price is basically a steal. This is aimed at women that want a road bike that might fit them, or be suited to them better. 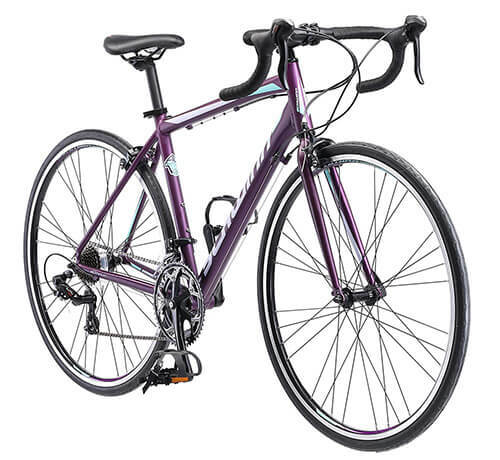 You can obviously ride any road bike but this choice is the best that was designed specifically for women. Schwinn started all the way back in 1895 and have since become something of an American icon. 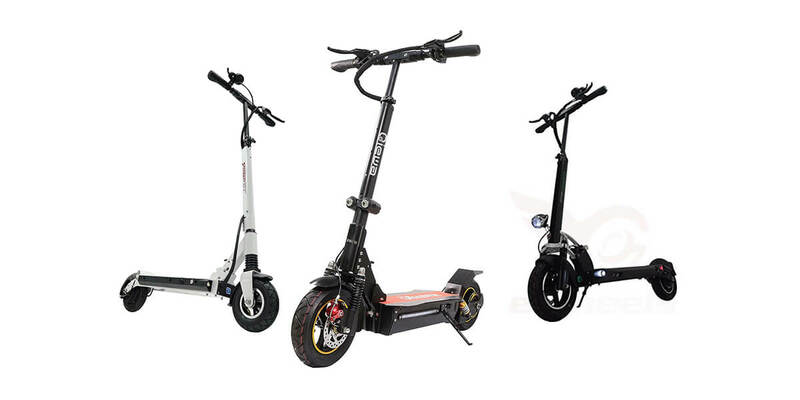 They have a huge range of bikes, from hybrid bikes to electric bikes and more. 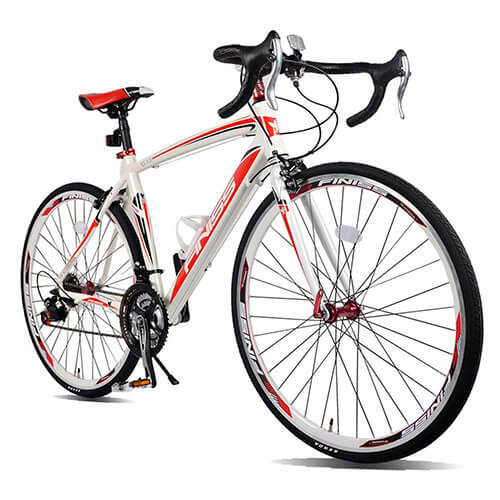 In this range is a set of bikes that have been designed specifically to accommodate proportions more suited to women. 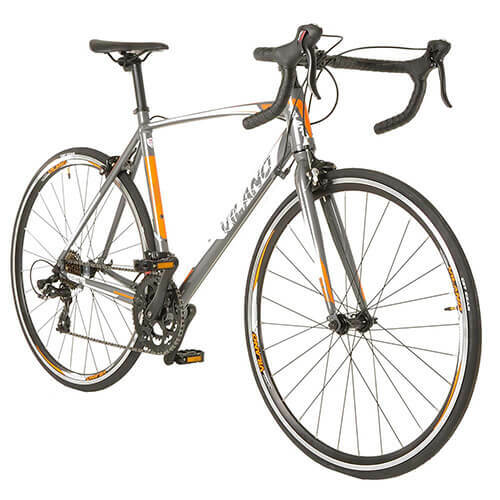 The Schwinn Volare 1400 is an aluminum framed road bikes that cost noticeably less than $500. In addition to the aluminum frame, it has a steel fork. 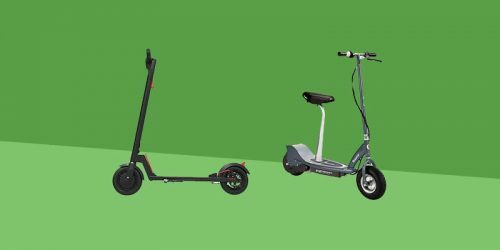 Both work together to ensure a safe, sturdy ride that is also agile and manageable due to the light weight of the bike. The Volare has a 14 speed integrated shift/brake lever combo that works with Shimano derailleurs to make sure that you get the most precise shifting you can. Unfortunately Schwinn don’t offer a full breakdown of the features and components for the Volare 1400. Despite this, we can confirm that there is a lot that is good about this bike. It has a relatively easy assembly, despite the user manual not being very clear. 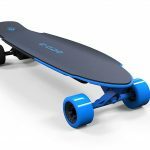 It’s a comfortable size, which helps increase the smoothness and comfort of the ride. 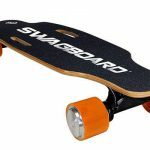 It’s lightweight and can go very fast, using the very simple integrated brake/gear shifts. 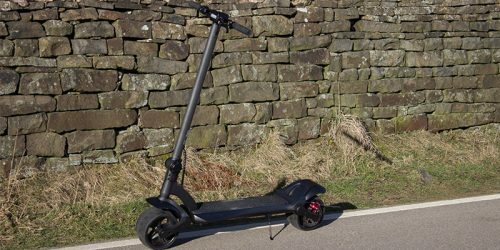 It also has a quick release front wheel and seat. Overall, this is a great bike if the other road bikes on the list aren’t quite your fit. 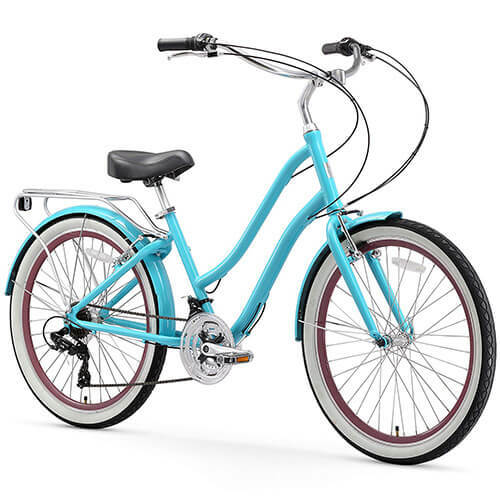 It performs well, is well priced and, as it’s a Schwinn, it very well built. This is a very interesting question that many people have tried to answer before. We think ultimately it depends a lot on what you’re going to use the bike for. 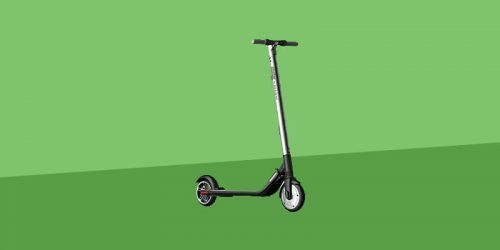 If you’re only going to use it to commute to a part time job but want some speed behind you, then these are perfect. If you’re training to become a professional cyclist, then you’ll probably be better off with better equipment. We’d recommend trying to figure out how much time you’re going to spend on on your new road bike and then compare that to the price. 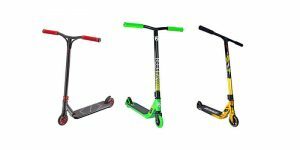 If you know you’ll be doing a lot of riding it can’t hurt to get one that’s bit more expensive that is almost guaranteed to perform better and to last longer. For example, the Tomasso Monazo Endurance is an incredible bike and still less than $1000! 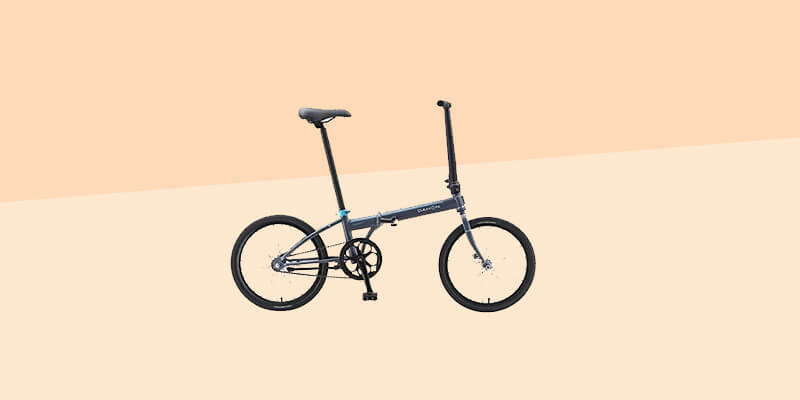 We generally think for first timers or people getting back into the sport, an entry level bike such as any in the list above is worth the investment. We hope this list has been helpful in your search. If you think we’ve missed anything or want to know more then comment below or connect with us on Facebook and we’ll get right back to you.